The Premier League is a hard place for a manager to survive with trouble bad form, injuries and ill luck capable of derailing even the best-laid plans and getting managers sacked. Add on the monetary privileges attached to staying in the league and the task of the manager is made even harder. We have already witnessed three managerial casualties in the early parts of the season and there may be more to follow with a couple of teams not performing to their standards. Slaven Bilic was appointed as West Ham boss after the owners felt a need for a different brand of football than what Sam Allardyce, whose brand of football was not appealing to the owners. Bilic vindicated the decision of the owners after he guided West Ham to a 6th place finish in their final season at Upton Park. However, the move to Olympic Stadium has seen the team struggling to feel at home. Last season they had a similar start to this season which saw them finish the season in a disappointing 11th position. The scenario is no different this time around as they sit above the relegation zone on goal difference having won only two of their 10 matches this season. Part of the reason is primarily due to the failure of summer signings. Of all the West Ham recruits last season, only Andre Ayew was the only notable performers among a bunch of new players despite missing a significant chunk of last season through injuries. The situation is no different this summer with signings not up to the mark. Joe Hart has looked unconvincing in goal and former City teammate Pablo Zabaleta's performances have been as tired and disappointing as his hairline. Marko Arnautovic and Javier Hernandez have both looked short on confidence while Manuel Lanzini, who fans hoped to be the shining star after the departure of Dimitri Payet is only just recovering from an injury. Although the mood was lifted by a spirited comeback against London rivals Tottenham Hotspurs in the Carabao Cup, the performance needs to be mirrored in the league as well. The Hammers face a fairly tricky run of fixtures in November with games against Watford, Leicester, Everton and a home game against Liverpool. They need as many points as possible in these games to lift the team from the relegation scrap. 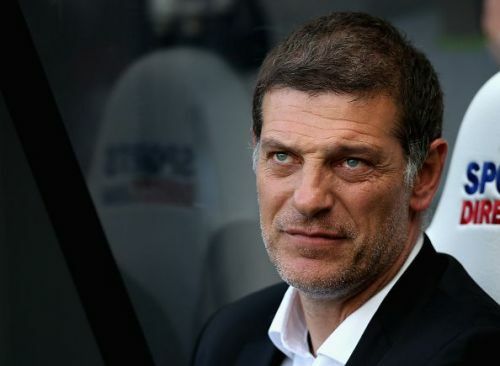 Bilic did his job last season in guiding West Ham through to their first season at Olympic Park. However, a bottom half finish will be unacceptable for a team looking to move forward. Bilic has proved himself as a worthy manager to take West Ham ahead and just needs his star players to start delivering on the pitch.